Its fair to say we are spoiled for choice when it comes to choosing a device to monitor steps, calories or sleep. But when it comes to detailed swim tracking, the options are much slimmer. 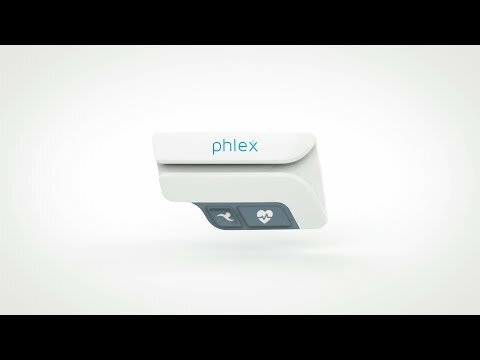 The Phlex EDGE is a new swim tracker that just launched on Indiegogo. Created by a group of University of Florida swimmers, it is endorsed by a number of professional athletes including twelve-time Olympic swim medalist and former world record holder Dara Torres. There are plenty of wearables geared towards running and cycling, it’s time for swimming to catch up. So as not to inhibit your movements, the company behind the wearable opted for a head-based design. EDGE slides easily over standard swim google straps and is virtually unnoticable when worn. Simply thread your google strap through the wearable, switch it on and you are set. Stats junkies will feel right at home. EDGE provides real-time info on heart rate including vibrating alerts when you switch between zones. There is also advanced stroke and workout analysis that provides over 30 swimming metrics. This includes info on distance, calories, pace, stroke, cadence, workout dynamics, heart rate, kicks off wall, SWOLF, distance per stroke and endurance zones. All of this can be found in the iOS and Android app, as well as the Phlex Swim cloud-based dashboard. Furthermore, you get professional coaching, tips, customized goals and social competitions. Thanks to intelligent algorithms the gizmo will, over time, learn the swimmer’s workout structure, sets, strokes and intervals. It will even pick up on inefficiencies in strokes and won’t be shy about flagging them up. EDGE needs to raise $40,000 if it is to see the light of day. This shouldn’t be a problem. Just four days into the campaign and with a month left, its already more than half-way there. The device will set you back $199 and delivery is scheduled for November.